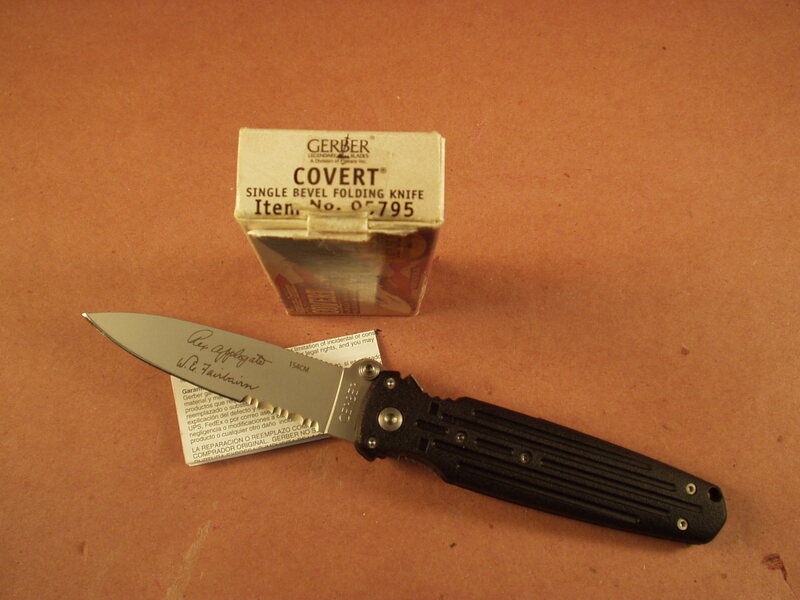 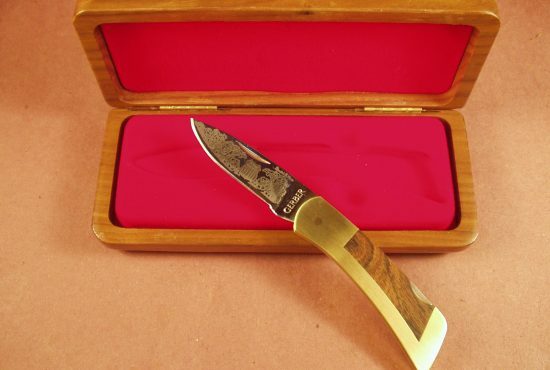 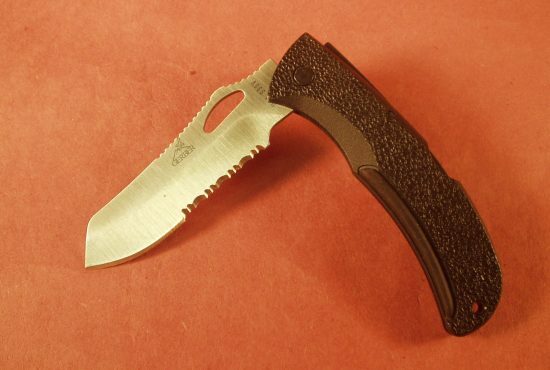 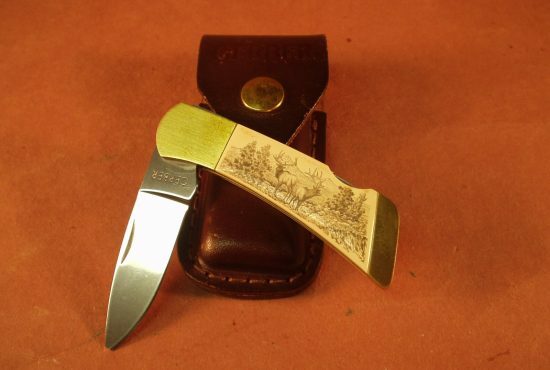 A rare find – New In Box – GERBER COVERT #05795 (Single Bevel Folder, with safety lock tab) This knife features the old box when Gerber first released these. 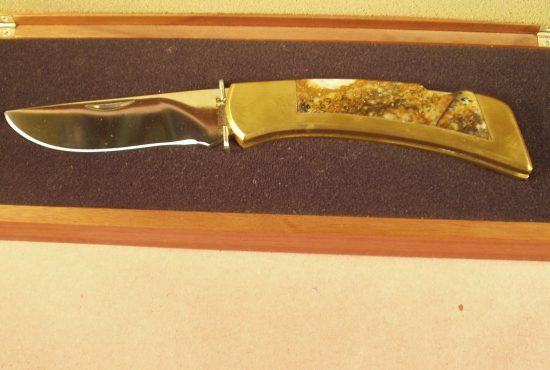 These knives were made some time ago and have since been discontinued. 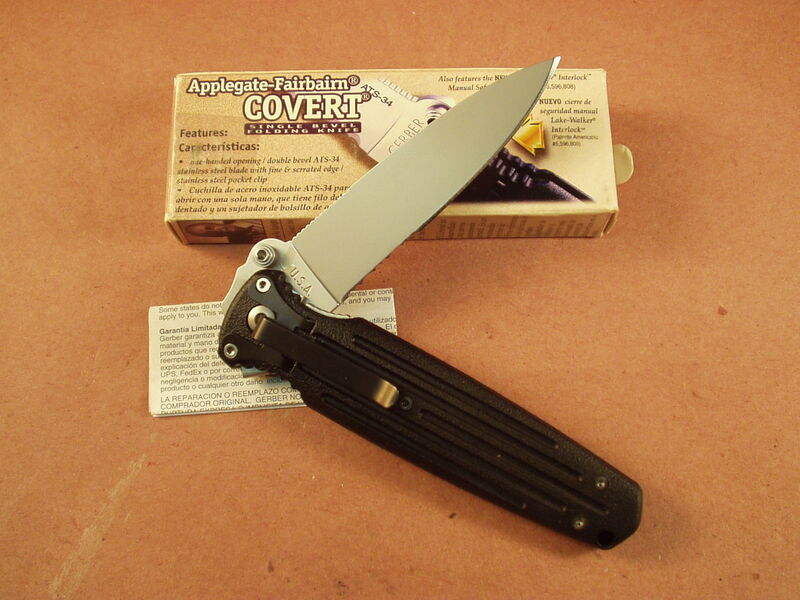 This knife is marked as stated Gerber USA (Applegate / Fairbairn) 154CM Covert Folder Gerber USA – Box is proper to the knife and except for some slight storage wear the box is in excellent condition +. 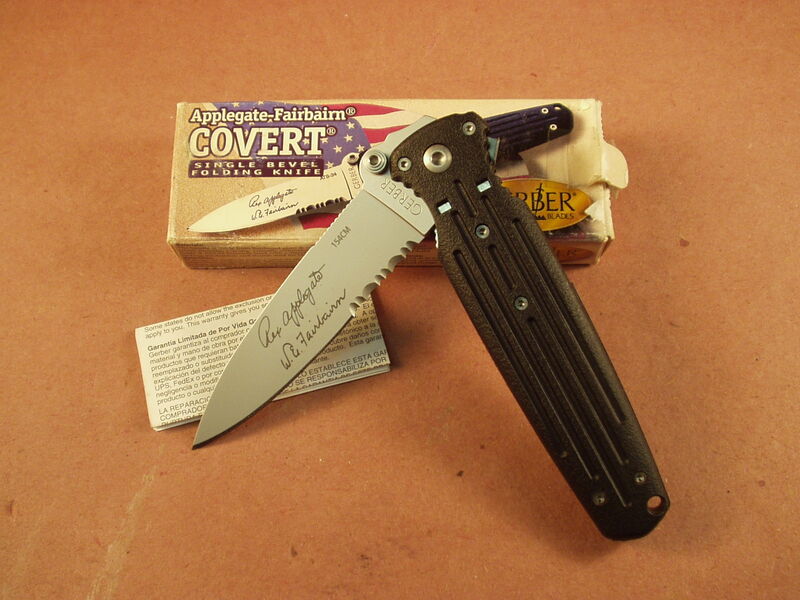 Comes with factory supplied paperwork inserts.